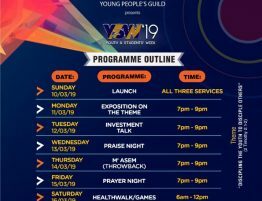 The Young Adults’ Fellowship (YAF) of Hope Congregation of the Presbyterian Church of Ghana, Sakumono-Estates on Sunday, April 7, 2019, organized a business fair and exhibition as part of this year’s YAF week celebration. The fair featured young entrepreneurs and businesses to displayed products ranging from health care, beauty, photography, food products, and insurance policies among others. 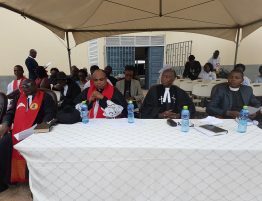 The exhibition was held at the forecourt of the Hope Congregation. 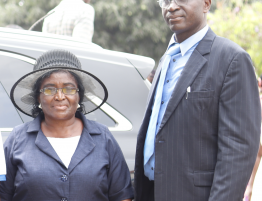 The fair coincided with the Thanksgiving Service to round up activities lined-up for the YAF week celebrations. 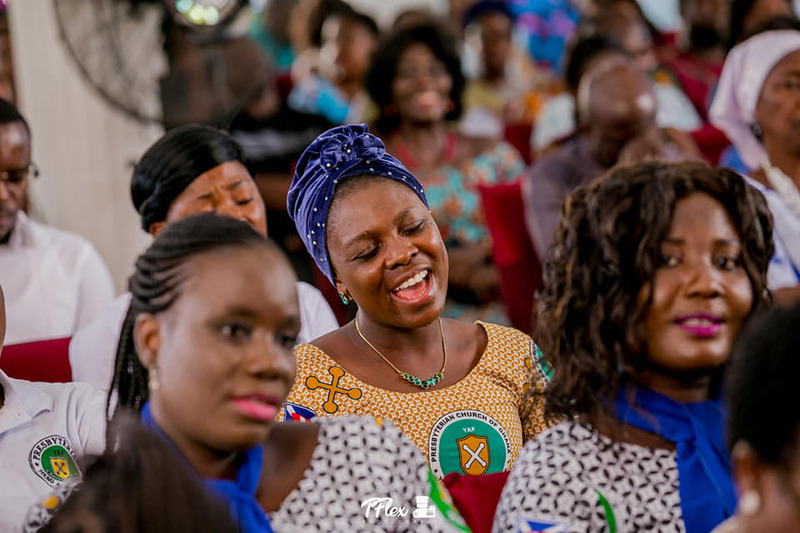 The YAF week was celebrated under the theme, “Go and make disciples of all nations-rekindling the spirit of evangelism (Matthew 28:18-20). 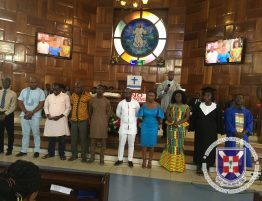 Selected members of the group took turns to lead the service and also deliver the sermon in all three services of the congregation. 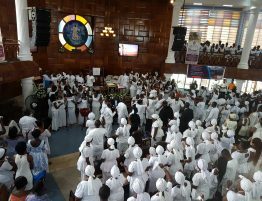 In his message to the congregation, the National Director of Church Life and Nurture, Rev Kwaku Bio Kyeame disclosed that the PCG was aiming to increase its membership to 1.5 million over the next five years. 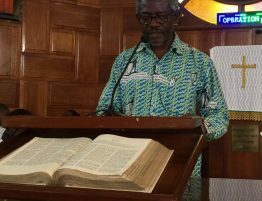 This he said means that the church must grow by at least 120,000 annually within the period. 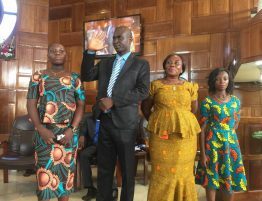 He underscored the importance of evangelism and said to fulfill the Great Commission charge given by Jesus Christ and also achieve the target set by the church, the spirit of evangelism must be rekindled. 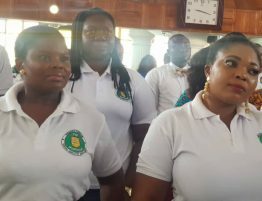 The message urged the YAF members of the PCG to allow themselves to be rekindled by the Holy Spirit so that they will be shining examples of Presbyterians who are on fire to spread the Good News of Jesus Christ and also work to make their listeners become disciples.